A summer school at Essex is an experience of a lifetime! With links to our award-winning THINK series, join our programme this summer and pick up the knowledge and skills you’ll need for university life by living and learning like an undergraduate student. As part of the application process, you’ll submit a 500 word answer to a question based on one of three controversial topics that we’ve selected from the THINK series. During Summer ’18, you’ll then work to develop your initial answer into a 1000 word essay and you’ll present your ideas to your peers. Essays will be graded at undergraduate level so you’ll leave with the best piece of academic writing you’ve ever produced! 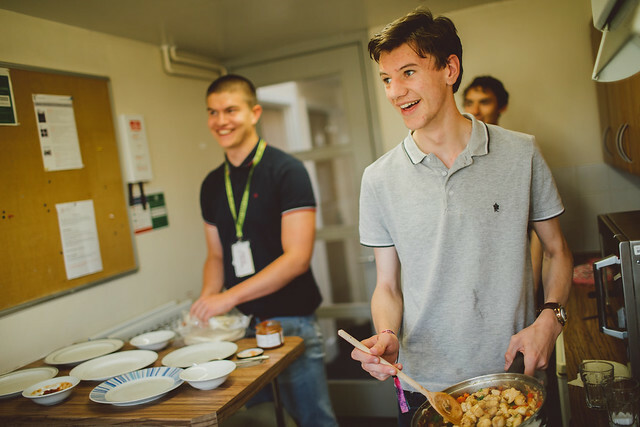 You'll also live like an undergraduate student in university halls, cooking for yourself and socialising. So you’ll get an authentic university experience that will help place you above others when it comes to writing university applications. And importantly…it won’t cost you a penny! It's completely free of charge and we take care of everything: return travel to campus, accommodation, all meals and social activities. You’ll head back to sixth form with a whole new set of skills, full of confidence and ready for the year ahead. "Summer 17 was amazing! I really enjoyed every single day I spent there as I got to me new people and make new friends. I have also learned how to improve my academic writing which will help me progress through my A-levels and beyond." "I definitely owe Essex a debt of gratitude for this summer school. Thank you everyone for making it so amazing and I'll definitely be putting Essex as my number 1!" "I loved the experience and it made me realise two things; that I can live without my parents to do everything for me and that I am going to be fine making friends when I attend university." "Overall, an excellent programme that I wish I could do all over again!" "I had an amazing time. I felt it helped me develop not only my writing skills but social skills and confidence." The application process is in two parts, Part 1 should be completed by the student and Part 2 by a teacher supporting the student’s application. Parental consent will be sought if the application is successful. We welcome applications from students from a diverse range of backgrounds and encourage all students who are interested in the programme to apply. We’ve had lots of applications for question 2. For a better chance of success, apply for question 1 or 3. Make sure you’ve written your 500 words beforehand, so you can just copy and paste it into the form. You don’t need to be an expert, just have some interesting ideas!